Capri Pizza Delray Beach, FL Chicago Deep Dish? 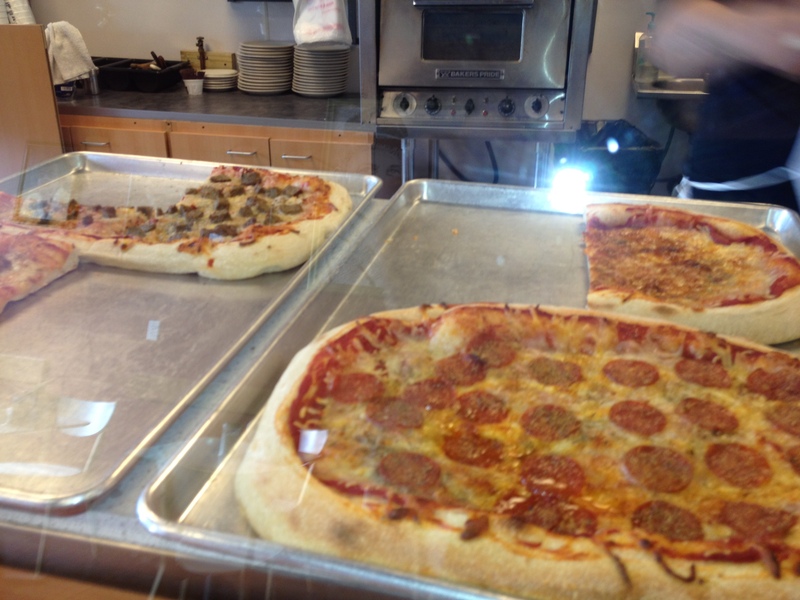 Passed by a new place in Delray Beach, west of the main happening area on Atlantic called Capri Pizza. It was located across from the courthouse and police station. This is where the neighborhood gets rough. Yet another business owner decided to take a shot and open a place here, although many prior have failed, been robbed, or just left empty. Hopefully Capri Pizza is good enough to last. I had to circle back around and find out. 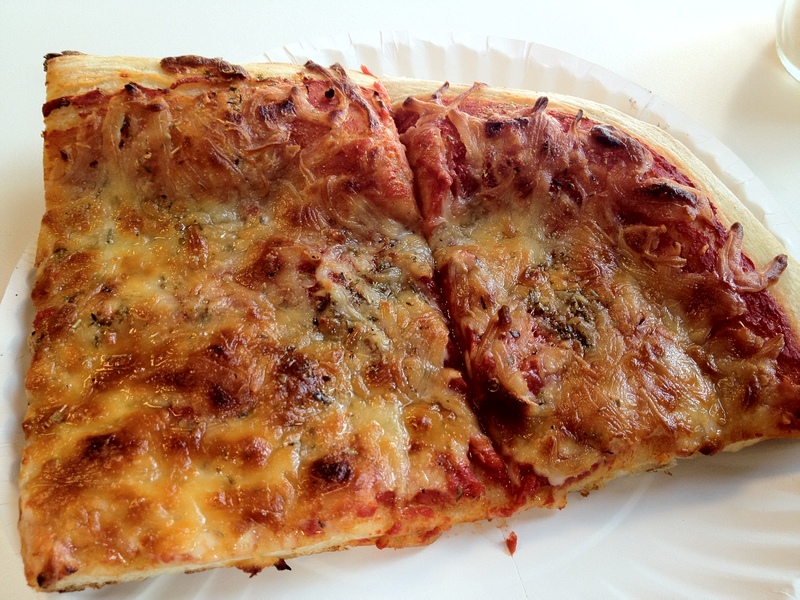 Everything about Capri Pizza in Delray Beach seems to be about Chicago Style Pizza, so I was a bit taken back when I only saw Sicilian looking pizza on display. As you can see in the photo, this is nothing like Chicago Deep Dish pizza everyone expects. It made me wonder if the owner had actually been to Chicago. 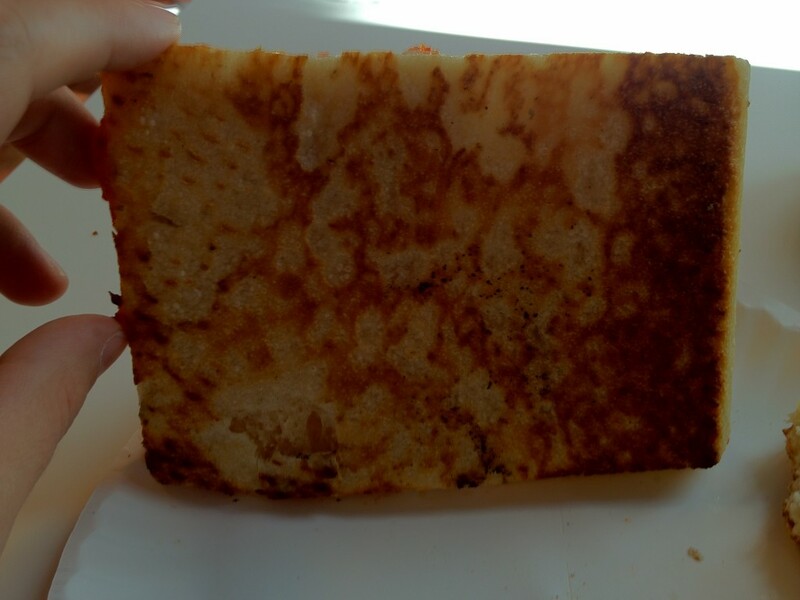 I ordered a plain slice and started to look around this joint. Mobster photos all around this place. Not so original, since every other place already has them. Looking at the menu I was impressed how limited it was. Just a few items, which led me to believe they might be good at the few things they do, instead of average at dozens, like most of the other pizza places around. Capri Pizza is a small quaint place with seating for about 18. When my slice came out it was cut into two, and cost $3. I like that they had a big sign by the register saying $3 a slice as if to prove they aren't trying to rip anyone off. I am sure you have seen the places that have no prices on their signs, and then the slice you ordered cost $4.00. The slice came out hot and even smoking! It was a bit doughy on the bottom almost more like a Neapolitan pizza you would find at an artesian place, not a Chicago Deep Dish joint. Even though the Chicago Style Pizza at Capri Pizza is nothing more than a Sicilian slice cut differently, The sauce was great. 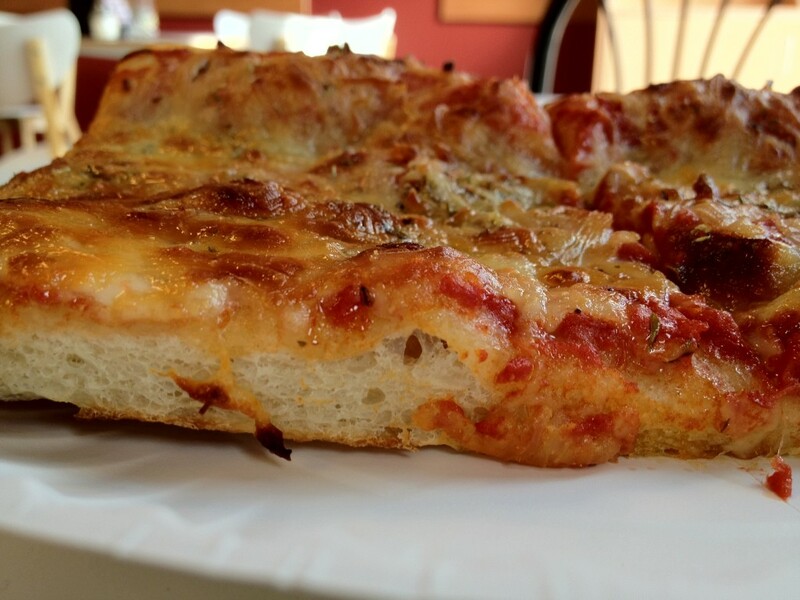 The dough was tasty and airy, and this pizza in general has potential. Cheese was not so great. Capri Pizza gets 4 out of 8, and I will be trying it again. If its cooked right, I might raise it to a 5.